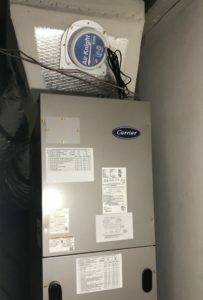 If you have more than one air-conditioning and heating units in your property, it is best to seek for annual maintenance agreements from a licensed HVAC contractor. Eggert Cooling & Heating Solutions offers reasonably priced and reliable packages to ensure that your equipment remains in top shape and excellent efficiency all year round. Poorly maintained cooling and heating equipment can lead to poor performance. This causes discomfort in your home or place of business. It may also lead to large energy bills that you could have easily prevented. Furthermore, when these pieces of equipment are properly maintained regularly, you may expect lesser troubles and issues with them. Eggert Cooling & Heating Solutions is here to assist you when you need annual maintenance agreements. Because your home or commercial property can get busy throughout the year, you may tend to forget about calling for maintenance. We can take care of that for you. Our team of professionals will help you whether you need maintenance, repairs, and installation AC and heating equipment. Furthermore, when you already have a package for maintenance that's done on a yearly basis, you will certainly get a lot of savings too. Our services are available in Orlando, Clermont, Apopka, Lake Mary, Winter Park, and nearby areas. We have a team of experts who can assist you with all of your cooling and heating needs. For more details, expert advice, and to get a free quote, you may reach Eggert & Cooling Heating Solutions at 407-252-3785!